Previous Post A new step to a new but old craft! Thank you! I wish I could make one like yours! May be some, I wish. 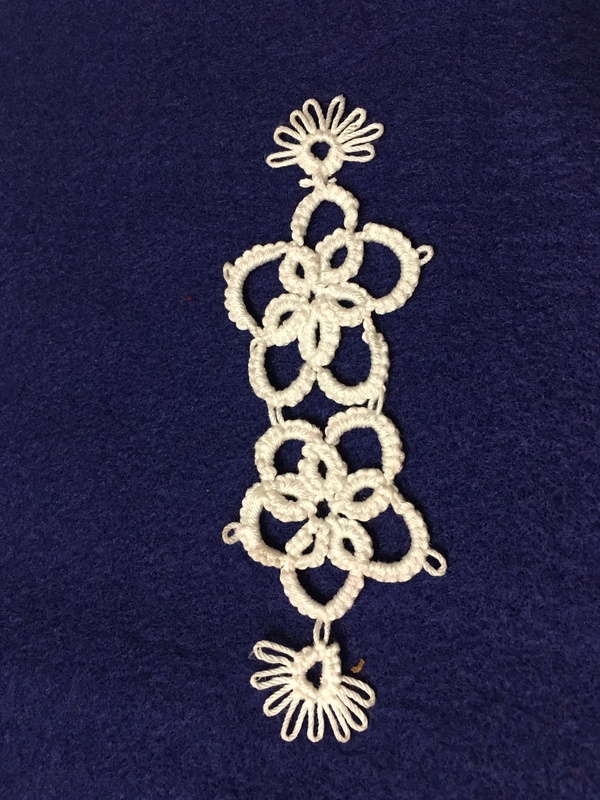 The pattern is from a Mary Konior book, a Pattern Book of Tatting and is called Read, Mark and Learn. Our local library had a copy. Thank you so much for the information. I’see if our library will have it. Ive just recently started tatting. And im hooked but im still stuck at whats that for…besides bookmarks en earrings and bracelets. ..whats it for? Your work is verry pretty. Well crochet has seen quite the revival here in South Africa over the past year or two. Maybe we can do the same for this wonderful craft. Michael, I believe needle tatting is much easier to learn than crochet. I want to thank you for the question you asked me. It inspired me that I’ll tat a lace for my hat that I wear everyday when I go out! That will make my looking prettier! It doesn’t matter for an 80 year old little lady to look bright! Isn’t it? I’m not young any more. Sitting in a wheelchair, no matter what I wear it won’t make me look as good as a lady who can stand up and walk. But a pretty hat will make me feel happy and proud! Because the lace on the hat will be my master piece! I encourage you to make the most beautiful bookmark ever. And please send me a picture also of the hat id love to see it. Wear it proud. You are more than welcome. I tat when I was young. Since I had a stroke 15 years ago, I thought I would never be able to tat again. When I found out needle tatting, I was so happy ! 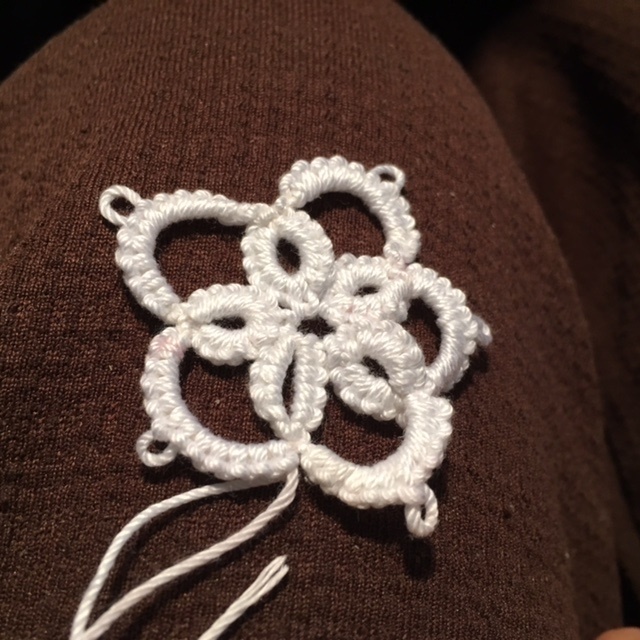 Even needle tatting to a one handed person is not easy either! But my heart is pushing me! Thank you! You are most encouraging!